Meets U.S. Forest Service specifications. 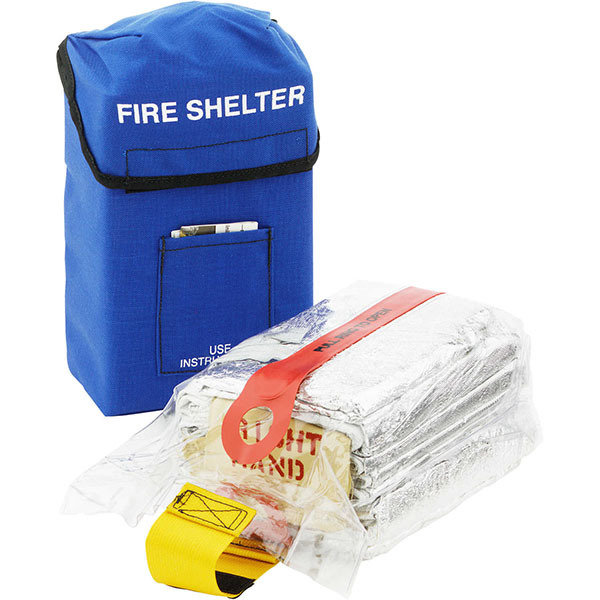 This shelter provides added protection from direct flame, reflects radiant heat, and traps breathable air. The outer layer is comprised of aluminum foil which reflects radiant heat and woven silica cloth which slows the passage of heat to the inside of the shelter. The outer layer of foil reflects approximately 95 percent of radiant heat. 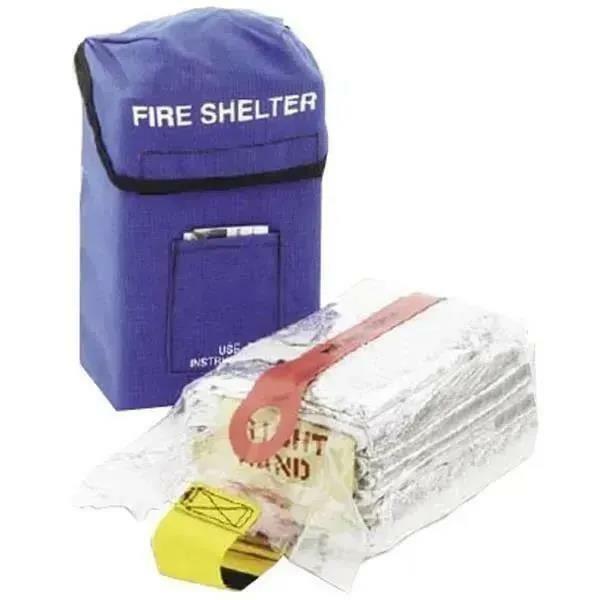 The shelters inner layer is constructed of fiberglass laminated to aluminum foil which prevents heat from being reradiated to the person inside the shelter. Shake handles allow for fast deployment while rounded ends scatter radiant heat. Dimensions: Folded in case, 9"H x 5.75"W x 4.5"D; Deployed, 86"L x 15.5"H x 31"W.